When I was on maternity leave I lost touch with the news! Being a Londoner, who worked in the "City" I went from having access to all the free papers to and from work, to not really knowing what was going on. 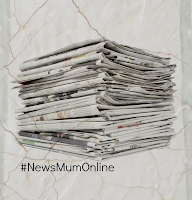 So here goes, with my first ever "NEWs" Mum Online posts - I hope this is the first of many! First bit of news comes with a high does of irony which I hope the "i" can shed some light on. Here's what does not make sense. On page 3, they state that "i" will be available for sales in 600 Starbucks from Monday 1st October, in what they call "an exciting new link-up which sees this paper available from Monday to Friday and our excellent sister title The Independent on Sunday on sale on Sundays". Well what I find strange, is they then go on to, in my opinion, slate Starbucks on pages 36 and 37 where they clearly show that if you buy a Starbucks take on the world famous (George Clooney endorsed) nespresso, you will be paying 50p a cup (as the pods are £5.99 for 12 cups) versus CafeDirect Fairtrade ground coffee which is 8p a cup (£3.49 for 300g). Even if you are a speed reader and don't read the two page article this is startlingly obvious from the graphics they have so cleverly put together on page 37. If I was Starbucks I wouldn't be happy, but then maybe it is great that their association didn't stop them printing the truth; I kinda like that! Secondly, I better quickly cover the front page news. Lord Chief Justice is now defending the home owner's right to fight back against burglars, and doesn't think someone being burgled is able to think rationally by only using reasonable force. On page 5 the Father of teacher Jeremy who ran away with Megan Stammers pleads with him to come home; this is already old news as they have now been found in France, and apparently he is in Police custody which I find incredible, given that the world and his wife said that they wouldn't have stayed in France and would be somewhere in the "continent". What do you think of the whole episode? I constantly listen to LBC 97.3 and the callers have been really mixed from some thinking it is a "romance' to others saying he is outrageous and should never teach again. They even had a caller who said he is still married to his "student" after getting her pregnant 47 years ago. 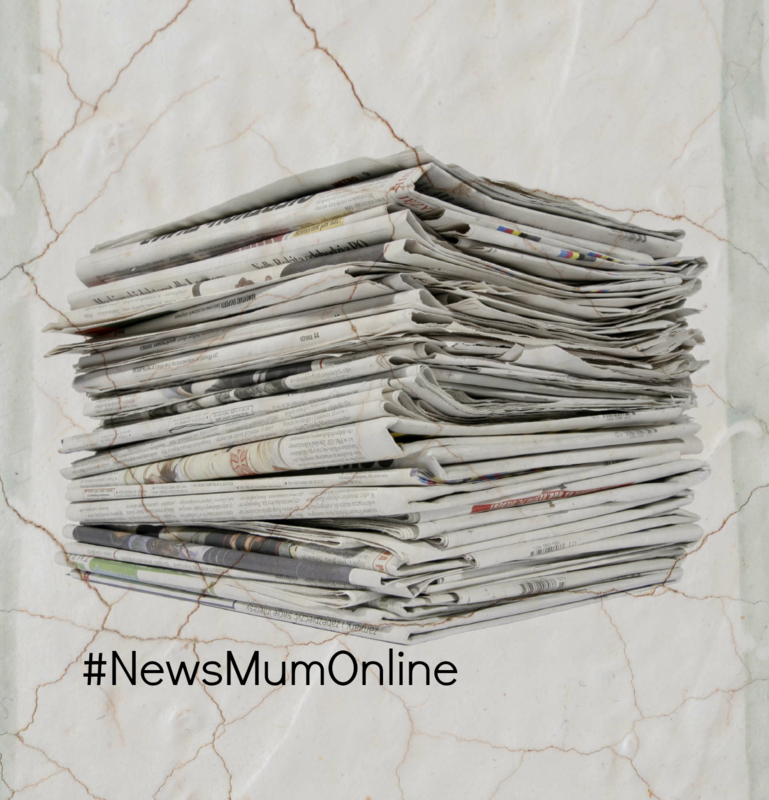 This is a controversial blog post on the subject which I stumbled across due to Mumsnet tweeting it out. On page 7, there is news of JK Rowling who has just released her first adult book "The Casual Vacancy". Personally I can't wait to buy/read it, but haven't yet. The infamous writer took to the stage at London's Queen Elizabeth Hall in front of a sell-out crowd of 900 - tickets sold out in 48 few hours! She announced to all that she is obsessed with death, which is why this is how the book starts. Writing the book helped her deal with her "death" issues. The "i" prints 3 reviews of the book and only 1 of them gives it a thumbs up with both The New York Times and The Daily Mail criticising it. Forgive me for not saying much about this, but it turns my stomach - apparently child abuse is rife throughout Britain, across all demographics etc... and has been hushed up for various reasons for years, including by Social Workers and people with high standing in the "community". There has been a 2 year inquiry by the Children's Commissioner that will be published in November. On Page 11, Labour figures are warning the rest of their party to take Boris seriously! Good God how can you! I certainly don't. The day he becomes PM is the day I leave the country. #VoteKen was my motto! and I am not even red! Even in Brazil David Cameron could not escape questions about Boris as they believe he has the greater popularity for standing at the next election. Cameron's response :-) "Boris still has much work to do as Mayor - and so do I as Prime Minister!" Page 15 is devoted to the crisis that is overtaking Greece and Spain as they rebel against austerity measures. No mention of my beautiful Ireland, but then they are not rebellious enough over there, but I know nobody is happy right now with the state of the Emerald Isle! My favourite page of the paper - page 16 - @amolrajan talks about taxing wealth and not work. He makes some pretty valid points and makes Nick Clegg's "mansion tax" look ill thought out in the extreme - by comparison! He quotes Hamish McRae as stating "Wealth taxes"..."would raise awkward questions and not generate much". That couldn't be further from the truth (the latter obviously) with the former showing how much policy is dictated to by how it'll "go down" with the people who "pull the strings" rule the country from behind the scenes, the ones unelected, the influencial stakeholders. It was lovely to read about a food blogger (Mikael Jonsson who published food reviews on gastroville.com) on page 19 who has just opened his own restaurant and has been awarded a coveted Michelin star (barely a year after opening)! There is now a "whooping cough" jab for pregnant women. Apparently 10 babies have died in the biggest outbreak of whooping cough in TWO DECADES. I can't really comment here, as I was also offered a vaccination when pregnant in 2010: the one for swine flu and I refused it and was personally comfortable with that decision. This next story I found very interesting. A new Mona Lisa painting has been found, which it is claimed pre-dates the one we know and love by 11-12 years. What I find hilarious is that the article states that specialists remain sceptical as the "Isleworth Mona Lisa mis-translates subtle details of the original. including the sitter's veil, her hair, the translucent layer of her dress, the structure of her hands".... hey am I missing something here? I got an A in art, and used to paint a lot and I can honestly say there would be similar differences in my paintings if they were 11-12 years apart. What on earth are they trying to say? Maybe I am confused. Enlighten me in the comments please! Given that I have travelled on the train for all of my adult life I am outraged by this next bit of "news". "In the last year train operators received £172m from Network Rail for delays, but figures from eight of the private rail franchisees showed they only passed on £10m to passengers!" Now I know I helped add to that figures as I sometimes had OUTRAGEOUS delays and yet never got round to completing the claim form, even when they told me it could be done online. Even a few times when I got to work at 10 instead of 8 I would shout to the world: THIS time I will claim, and being a workaholic I still never got round to it. Again a story that turns my stomach. A Mum with 2 living children, had FIVE pregnancies that she allowed to go to full-term, killing them shortly after birth. She claims this was to maintain their standard of living as her husband did not want any more children. I literally cannot believe what I am reading here. The husband has stated he was unaware of the pregnancies but how on earth did she conceal them from him!?!?!?!?!?!? I cannot relate to this on any level, when all you feel for your newborn the minute you give birth is a huge wave of love. If anyone knows more about this, feel free to comment, but you know what, I think it is too upsetting to think or talk about! In other news I am looking forward to watching Denise Welch on Piers Morgan tonight! What's weird is all day it has felt like a Saturday and not a Friday - can't get my head around that! I think I will leave it there for now as I am pooped - forgive me if I have left out anything glaringly obvious but this is my 1st time doing this and I am sure it will no doubt improve. Let me know if you enjoyed? I like this post liska look forward to more!